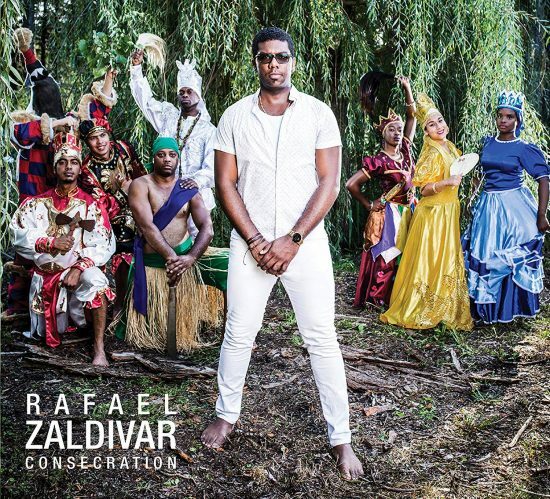 Keyboardist Rafael Zaldivar invokes traditional Afro-Cuban spirituality in both his music and his message, but his thematic scope is far-ranging. His keyboard work is devoid of pyrotechnics; he uses space to create depth, then fills it with precisely articulated arpeggios and single-note punctuations to build a delicate tension. That tension is then dispelled by the broadening of the sonic spectrum to welcome in electric bass (Remi-Jean LeBlanc), percussion (hand drums, Amado Dedeu; traps, Dave Laing) and voices (Dedeu again; on one number, “Ache,” he’s joined by his son, Amado Jr.)—primarily chants and invocations drawn from religious rituals with their roots in Africa. At times, the mewl of Zaldivar’s Mini-Moog adds another element to the mix. Ambitious, yes, but (mercifully) not pretentious. “A Rock Con Leche,” described as a tribute to James Brown, surges with hard-bop urgency rather than funk; Zaldivar’s synth screams stoke up the heat as Dedeu’s congas accentuate the theme that permeates the set. 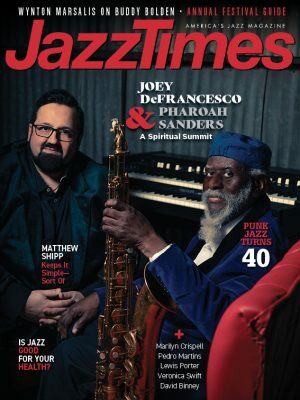 The piano solos “Manifested Creation,” “Rezos,” and “Eternal Creation” are meditative, even prayerful; “Obatala,” a paean to a Yoruba Orisha, is one of the most modern-sounding offerings here with its throbbing, funk-flavored bassline and impressionistic piano; “Unforgettable” recasts the Nat Cole standard as an elegant, melancholy bolero. A special nod should be given to guest vocalist Mireille Boily, featured on “When I Think of You” and “Simple Talking” (the latter uncredited in the notes). She sings in unison with Zaldivar’s treble line, negotiating every challenging interval, every quick-paced ascent and descent, every trill, and every complex legato passage with accuracy and unflagging emotional commitment. Check the price of Consecration on Amazon!